No, not gay marriage this time, though, come to think of it, it’s just like that. Hopes that California will become the first state in the nation to legalize marijuana appear to be turning into a pipe dream. Voters plan to oppose a measure on the November 2 ballot to legalize marijuana use by 53 percent to 43 percent, according to a Reuters/Ipsos poll released on Tuesday that showed a big change of sentiment from June. Liberally inclined and financially troubled, California was the first state to flout federal law and legalize marijuana for medical use, and a Reuters/Ipsos poll in June showed voters nearly evenly divided on the measure to legalize sales and recreational use, known as Proposition 19. Prop 8 passed and then was excoriated by the court. Naturally prop 19 may be killed, but it will still be enacted, because in California it isn’t the will of the people that matters, but the whim of a judge. Ballot initiatives in California are simply a joke. 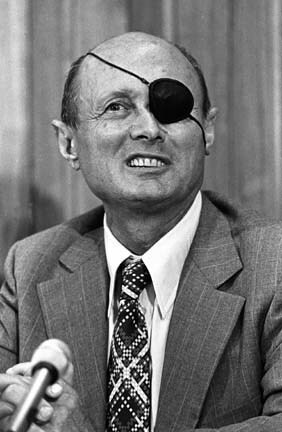 Newly declassified documents from the Israel State Archives have shattered the image of Moshe Dayan, Israel’s legendary one-eyed war hero, and portray him as panic-strickened [sic!] and responsible for a string of errors that nearly lost his country the 1973 Yom Kippur War. State police have cited two southwestern Pennsylvania moms for allegedly arranging a fight between their daughters. Trooper Christopher Newman told the Herald-Standard of Uniontown that 30-year-old Crystal Lynn Hall, of Uniontown, and 31-year-old Audrey Schreckengost, of Adah, have been cited for disorderly conduct. Police said the fight happened about Sunday night in a Georges Township home where Hall invited Schreckengost. Police said the women wanted their daughters, ages 11 and 12, to fight and that Schreckengost brought another 14-year-old girl with her. Police didn’t say if she was also a daughter. What’s wrong with people? Why they’re totally depraved, of course. Some are just more totally depraved than others. Like Mother Hall and Mother Schreckengost. But more importantly, such stupidity proves Darwin and the atheists completely wrong. Ignorance of the sort exhibited by these ‘mothers’ surely would have been weeded out by now were evolutionary theory true. At self promotion. If you want to see real self promotion, drop me a note and I’ll point you to bibliobloggers who are so shameless in self promotion they embarrass Lucifer. Usually it’s the other way around- but Mark Stevens’ post got under Scott’s skin but good. I mean but good! So Scott lets fly a barrage of nails and broken glass and shrapnel the likes of which haven’t been seen since the Compton riots. Usually I’m the snarky one. But Scott’s post makes me look positively kitten-like. A group of German Catholics wants to do away with Santa Claus because of the fictional figure’s commercial hype and replace him with St Nicolas and the selfless giving they say he represents. 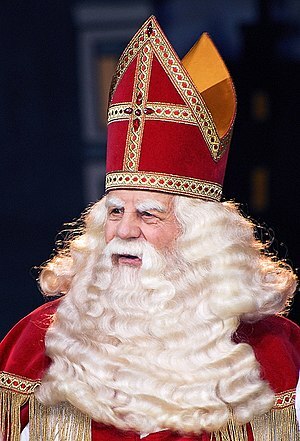 Even before shops fill with Santa-themed goodies, the Bonifatiuswerk of German Catholics — a Catholic aid organization — has begun calling for “Santa Claus-free zones.” The organization sees Santa as “an invention of the advertising industry designed to boost sales” and as “a representative of consumer society” who has little to do with the historical figure of St Nicolas. Its website describes Nicolas, the patron saint of children, as “a helper in need who reminds us to be kind, to think of our neighbors, and to give the gift of happiness.” The campaign is supported by several German celebrities. Why not. Here in the States our secularized, atheist-ized, and paganized society has managed to get Christ out of Christmas. Oops, I mean out of ‘Winter Holidays’. So I agree with our German friends, get Santa out too. After all, if Christmas doesn’t need Christ, it surely doesn’t need St. Nick. St. Nick Christmas without Christ is as sensible as Jenny Craig as the food director at an anorexia clinic. Down with Santa, up with Jesus. It was theological dilettantism at its very worst and a pandering to the lowest common denominator of religious ignorance. The writers of the episode should be profoundly ashamed of themselves and they should never, ever attempt it again. Glee is light and fun and clearly brilliantly written and performed- so long as it sticks with what it knows. And it doesn’t know theology. At all. The ‘L’ in Glee last night could only stand for ‘Loser’. An End to the Top 50? Frankly Mark’s call for an end to the top 50 and his concomitant suggestion that bloggers needn’t concern themselves with ‘statistics’ strikes me as just fine. Though his claim that Witherington and McKnight have more readers than anyone in the top 50 is utterly unsupportable (since they chose to host their blogs on commercial sites, there’s no way to know how many readers they have). That aside, I’ve always seen the Top 50 as a farcical and humorous exercise in navel gazing and never taken it seriously enough to be as bothered by it as others always seem to be. In fact, the very fact that it seems to be so important to people like Loftus says far more about them than it does the utility of the listing. When NT Wrong initiated the Top 50 we all knew what it was: a diversion, a frolic. It has since become something else, a serious enterprise for various souls who feel slighted if unincluded and joyful if rising in the ranks. But it is, as a project, quite unimportant. Anyone, at any time, can check their Alexa rankings (0r any other ranking system they choose) and see how they measure up against this one or that. Indeed, people are even free to pretend that everyone in the world is their avid and loyal reader. It’s all good, as the kids say (and they hate me for saying it- which makes it more fun for me to say). To borrow and mutilate a phrase from my beloved Kierkegaard: ‘whether you blog or not, you will regret it. Whether you rise or fall in the Top 50 rankings, you will regret it. Whatever you do, you will regret it.’ If you can live with regret, blog for yourself and those readers who may find their way to you. If you can live with regret, don’t blog at all. Just play world of warcraft or smirk at blogging or whatever it is you wish to do. As for me, I’m going to continue to be me and point out my constant #1-ness because it brings a smile to my face to do so. And I’m going to continue to blog in my own voice without apology or remorse because I know, and I know I know it, I will regret it if I don’t. And if I do. End the Top 50 if you want, scorn the Carnivals, eat dog, love cats, be totally depraved if that’s your heart’s wish. But rest assured, I won’t desist. Even if it makes each and every single solitary person on the planet loathe me as much as Jim Davila and Joe Cathey do. [NB- Those are just my reflections on Mark’s post. Feel free to keep yours to yourself or express them on your own little patch of cyberspace. Comments on this post are disabled because, frankly, I don’t care what anyone else thinks on the subject]. It most definitely should. You can read the backstory to the case here. As far as I’m concerned Phelps and his hatemongers’ freedom ends at their noses. They should be forbidden to protest at private events and there’s no more private event than a funeral. People can’t barge into your home and protest your family and people should never be allowed to barge into a funeral and protest anything at all ever. So I pray the Court exercises some common sense and finds for the Snyder family and reinstates the jury award of $5,000,000. And that Phelps and his cult disappear from the face of the earth. It isn’t a church, it’s a hate group. He’s been down in South America, practicing his driving skills… unsuccessfully, if you ask this poor woman, the hapless victim of his British wrong side of the road skills. Good grief Chris, you could have at least have stopped to check on her! Those drive by baptisms have gotten rough. And there wasn’t even any water! All this evidence indicates that Jesus was emotionally and administratively more dependent on a small group of women than the Gospels tell us. It should be obvious that they were his disciples, in the normal sense of being his followers, and it should not matter that the men who wrote the Gospels do not use the word ‘disciple’ with specific reference to women in their very brief comments on them. A high proportion of Gospel references to ‘disciples’ are editorial (e.g. Mk 4.34; Mt. 12.49, inserted into Mk 3.34; Lk. 6.13, editing Mk 3.13; Jn 4.1- 2), and some of those which are genuine are not obviously gender- specific (e.g. Mk 2.23). It follows that so few Gospel references to ‘disciples’ are genuine references to male followers of Jesus (e.g. Mk 14.12- 13, 16) that genuine traditions transmitted to the Gospel writers rarely used the term ‘disciple’ of Jesus’ male followers. Moreover, Jesus himself is reliably recorded to have used the term ‘disciple’ of his followers only once, in a message designed to conceal his identity, to help ensure that he could celebrate his final Passover before his arrest. 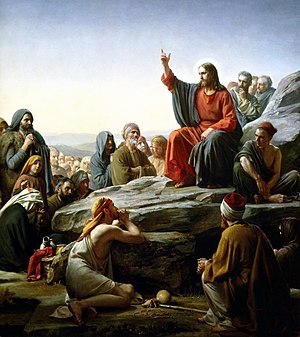 Two disciples were instructed to say to a householder, ‘The rabbi says, “Where (is) the place of my- spending- the- night, where I will eat the Passover with my disciples?”’ (Mk 14.14). Even this one example was not in practice gender-specific, though Jesus may well have deliberately used this term so that his two male disciples, arriving with the Passover victim, looked and sounded like disciples of a conventional rabbi. Normally, he did not use the term, perhaps because the Aramaic talmīdhīn already referred to men sitting at the feet of an orthodox rabbi learning his teaching, and was therefore not a helpful term for the followers of a prophet who was a teacher from a prophetic perspective. The Greek mathētai, freely used by the Gospel writers themselves, did not carry such connotations. The use of the word ‘disciple’ of Jesus’ followers should therefore not be regarded as historically important. It was and should remain important that lots of people followed Jesus, and that many women did so, just as much as men. For subscribers and members of ASOR, the newest number of BASOR is now up. The ASOR blog has all the details. BASOR, the real archaeological publication for students of the Bible.